Getting on a weight loss plan of five small meals a day helped Heather Brown feel more energetic and look thinner than ever. The Gain: Even though a nurse should know better, Brown ate for two during her first pregnancy — and gained 55 pounds. “I was so happy and excited about my baby that I didn’t use common sense when it came to eating right,” she says. When son Nate was just 7 months old, Brown got pregnant again. After her daughter, Elizabeth, was born, Brown’s weight settled at 205. The Change: A year later, Brown was sick of always feeling exhausted. 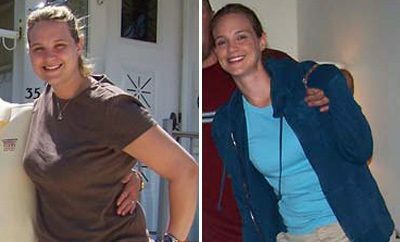 “I was on my feet all day at work, and by the time I got home I had no energy for my children.” Realizing that her excess pounds were to blame, she left the kids with her parents one night and went to a Weight Watchers meeting. She carried a cooler of healthy meals to work and avoided the fat traps in the hospital cafeteria. 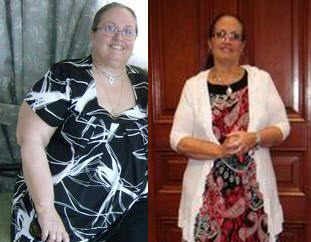 A month later, she was 12 pounds lighter and more energetic: “I wasn’t collapsing into bed at the end of the day,” she says. And she became even more determined to take the rest of the weight off. So she began walking on the treadmill and doing a light strength-training routine at a local gym that offered child care. 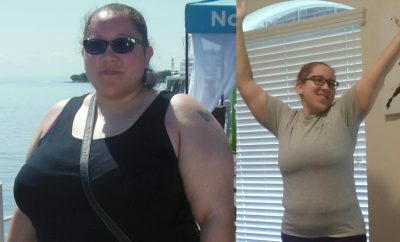 As she continued to lose weight and build stamina, she added spinning classes and elliptical training. “I started losing 2 to 3 pounds a week and felt amazing.” After 11 months, Brown hit 130 — 20 pounds lower than her pre-pregnancy weight.